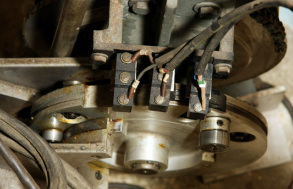 Gemini have the capability to design fully computer controlled systems through to more simple push button controlled machines. Our engineers pride themselves on producing equipment that meets the most stringent industry safety standards, for some of the most demanding and exacting clients. 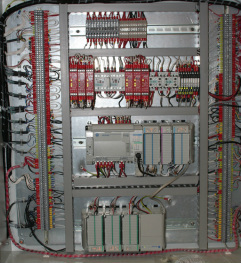 Gemini assemble, wire and test all of the control electronics for the systems we produce. Frequently Gemini provide the same service to customers own designs. 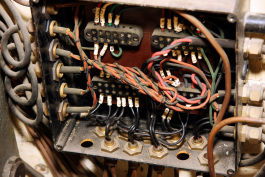 See if we can help you with your electrical work. Our highly skilled and experienced Electronics Engineers provide us with latest control software using Windows to supply operators with user-friendly programs. With our vast experience in research equipment, we can produce complex machinery to meet the most strict safety standards. Gemini regularly produce full turn key systems, incorporating typically the latest Allen Bradley range of PLC's controlling multiple axis of motion. We produce complex control software often incorporating complex control algorithms, which fully integrate with clients own software packages, if required. Gemini are happy to upgrade an existing outdated control system if required, bringing your equipment in line with the latest safety standards and up to date technology, replacing anything from motors, motor drives, controllers, PLC's, safety circuits, sensors. Our engineers are highly experienced in breathing new life into systems that you might have been ready to condemn. We are happy to visit and carry out on site assessments.